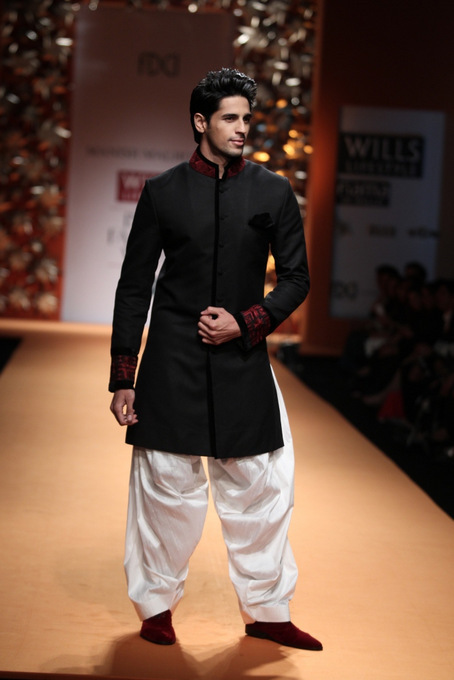 Manish Malhotra showcased his collection at third day of Wills Lifestyle India Fashion Week Autumn Winter 2013. 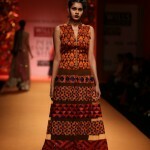 His theme was “Thread of Emotions”.Jacqueline Fernandez walked the ramp wearing a white, orange, black and golden gown by Manish. 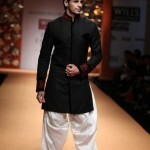 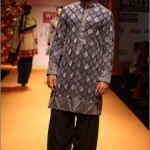 Have a look at pictures of Manish Malhotra’s Collection at Wills Lifestyle India Fashion Week Autumn Winter 2013. 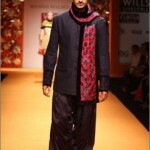 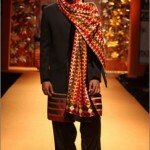 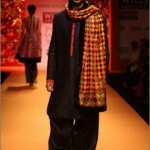 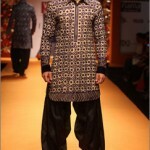 There was a generous dose of Phulkari in Manish’s Collection, which is an element i always love. 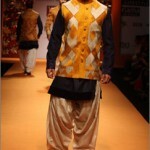 The tones were more dark with olives, and navy rather than the cream-pink-gold he usually does. 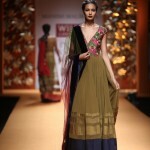 I liked the olive anarkali.Silhouettes were still anarkalis, and layered lehengas.